The world would be a better place if everyone had a garden. 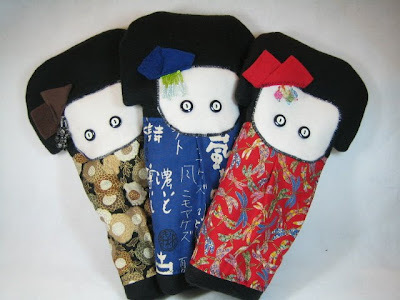 The series above is my "Kokeshi Series". I guess I got the idea from making all those amigurumi kokeshis last month. I had these gorgeous J fabric fat quarters in my stash and am thrilled to find a use for them. I like how these came out. This is my "Cactus" series head covers. 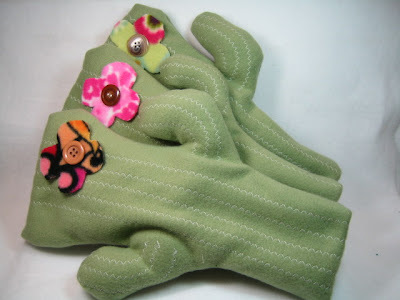 They are topstitched with zigzag stitch to give it that ribbed cactus look and embellished with a rough cut funky shaped flower and topped with a selected button (again from the old stash). 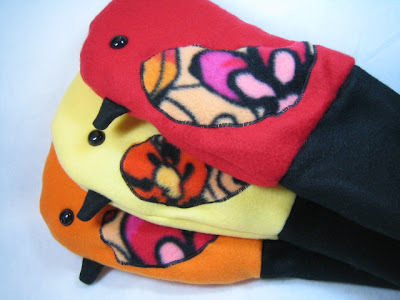 This is my "Birdie" series of head covers. They were fun to make and I love working with fleece. It's so easy to sew, feels soft and cuddly and now comes in so many designs. And lastly, this is my "Art" series of funky animals. 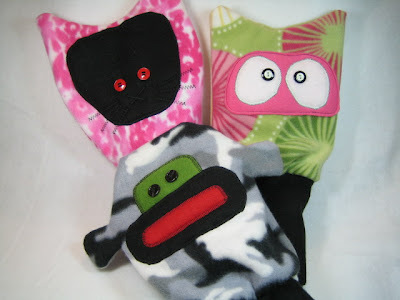 A shocking pink cat, a hooty eye owl and a camoflauge monkey. 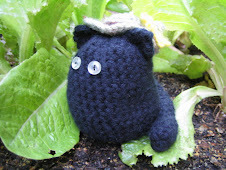 This is Farmcat, my first original crochet friend and the first to come to the farm. I'm never, never bored, always looking to learn something new. However, I yearn for the simple life, living off the land and making useful things with my hands. I found farmcat making herself at home in the greenhouse. All the seedlings are started here and are transplanted at the farm. 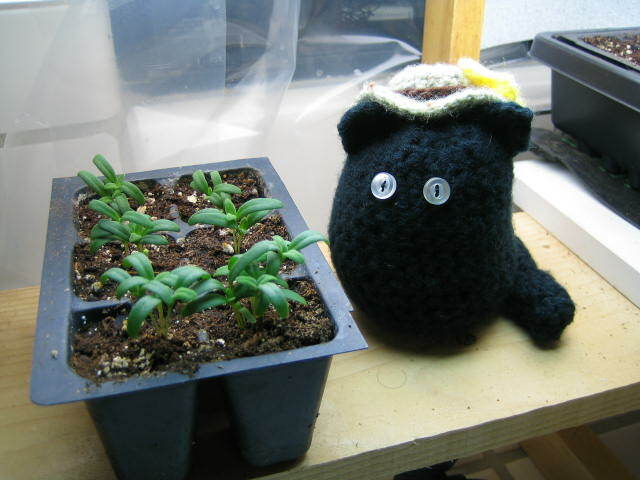 These are spinach seedlings. 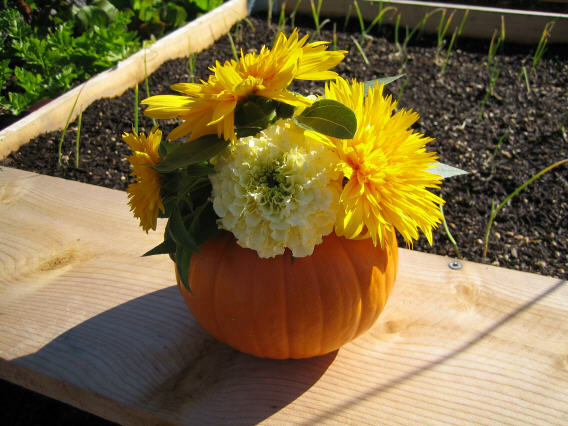 My first bouquet of flowers arranged in a small pumpkin. Besides vegetables, I grow flowers, because I think every garden should have them. Also, it just makes me feel happy. 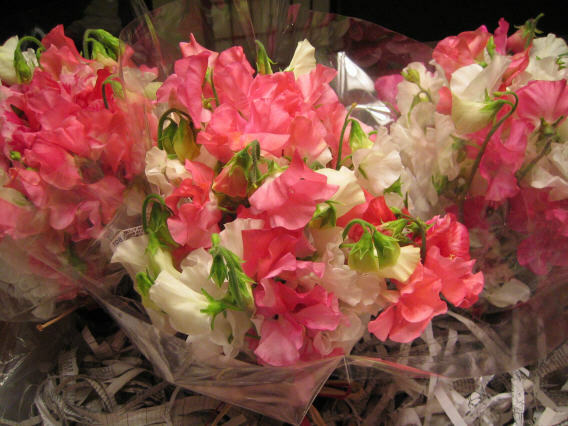 Sweet Pea Bouquets 2008. Sweet peas are so fragrant and delicate. I have a small organic hobby farm called "Sweet Pea Farm"... Visit my website at www.sweetpeafarm.com.